Are you looking to combine tradition with contemporary elegance? 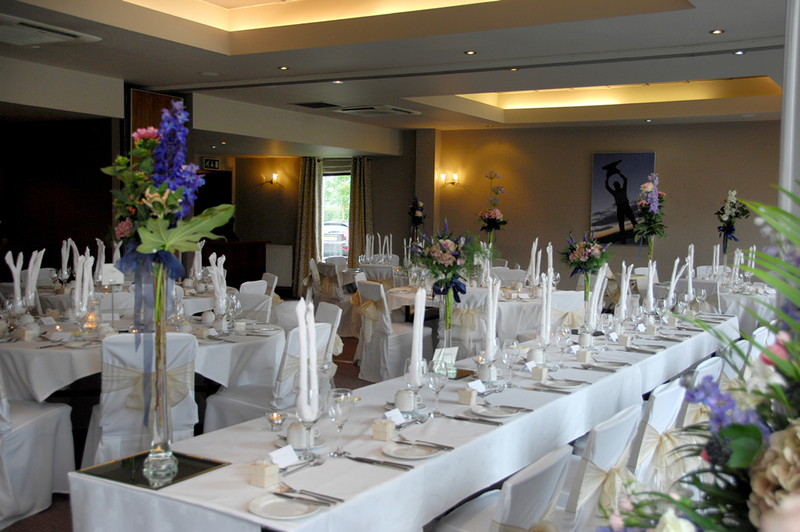 Smiths Hotel at Gretna Green offers you 4-star affordable luxury for your wedding reception. You can enjoy the Inspirational and innovative design of our boutique hotel. It really does create a special backdrop for your wedding day! Smiths at Gretna Green is acontemporarnt boutique hotel, situated directly opposite the Famous Blacksmiths Shop. With stylish bar, Chainmail Restaurant and highly appointed, spacious bedrooms designed to offer the best night's sleep. Dining at Smiths is an experience in its own right. This award-winning hotel has a team of talented chefs who create delicious, imaginative dishes using the finest of locally sourced produce. As a price guide, our wedding breakfast packages range from Our Bronze Menu at $46.80 to your choice of bespoke menus which can include four and five-course options. Why not take a look at our wedding brochure or contact us for more details. Children can select from the children's menu or you may choose to offer your guest's children half of an adult's portion. Our wedding team can discuss your menu preferences with you in more detail. We have a selection of popular wedding drinks combinations for you to choose from. However, if you wish for something different, we will be delighted to assist you in putting together your own selection. You can choose one of our packages starting with our Mackie Drinks Package for $20.80 per person. Soft Drinks packages are also available from $10.40 per person. We have 3 Cocktail/Late night wedding buffet choices starting at $22.10 per person or for a less formal buffet you may like to choose Bacon or Sausage Sandwiches served with chips at $15.00 per person. You can enjoy intimate dining in our Smiths Restaurant for up to 18 of your guests in our new secluded areas.